Ukraine started patrolling fighters of special forces "alpha"
Engaged combat vehicles and aircraft. According to the head of service, Vasyl Hrytsak, the patrols involved combat vehicles and unmanned aircraft. 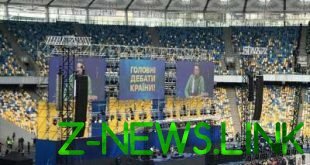 “This is a demonstration of our determination to immediately stop any possible provocations to destabilize the situation in Ukraine”, – he said. Hrytsak also expressed confidence that elections in Ukraine will be “civilized and calm”.